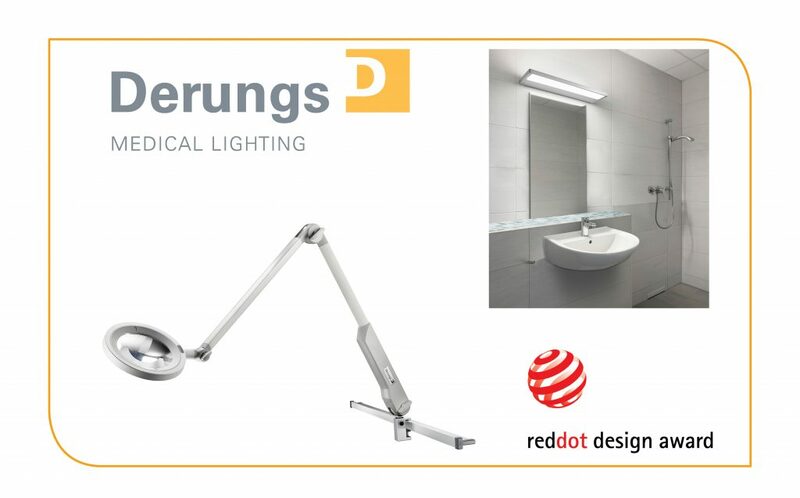 Derungs Licht AG recently won two 2018 Red Dot Design awards. The Red Dot Product Design competition is an internationally recognised quality seal. With 48 categories and entries from 59 countries this year, Derungs have excelled in achieving this result. Both the Opticlux magnifier luminaire and the wall-mounted Zera Bath won the prestigious award. Congratulations to Derungs on their innovative products. Opticlux is a robust magnifier with outstanding colour rendering properties and can be used in dermatology, human medicine, dentistry and veterinary, in laboratories and for monitoring sterilised products. It has daylight white colout temperature a bright, homogeneous light field and optional Wood light. Opticlux also won an i-NOVO award in 2017. Zera Bath is part of the sleek and functional Zera range. It has the latest LEDs and light technology for optimal illumination of bathrooms, with glare-free, uniform light to help prevent falls. It has IP 44 protection against water splashing and high energy efficiency.